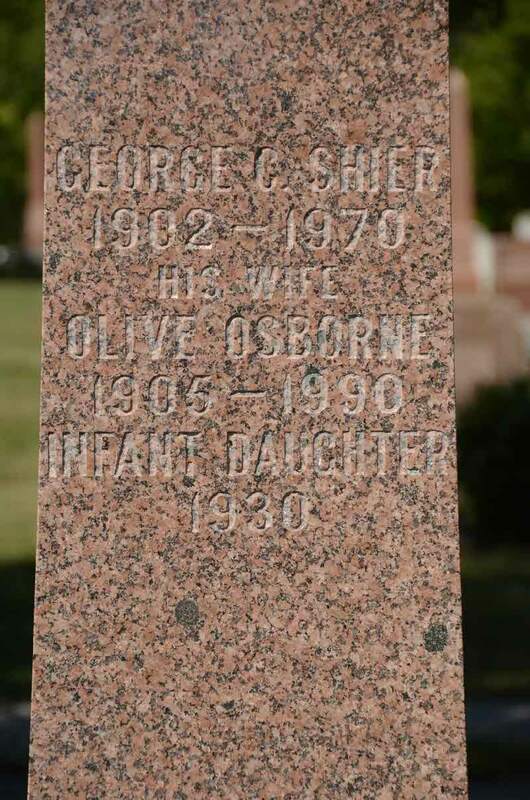 [S22] Unknown compiler address, Saskatchewan Vital Statistics, unknown repository, unknown repository address, Birth Registration for Archibald Joseph Shier #3623. 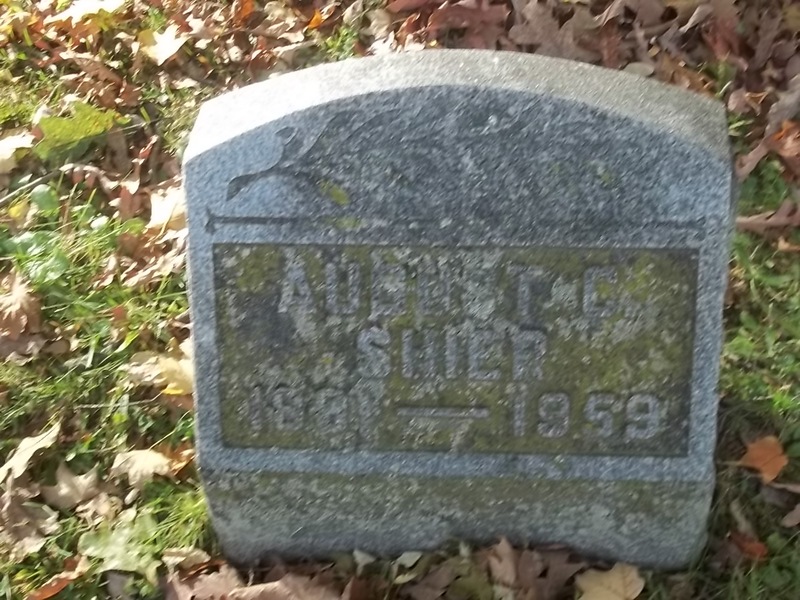 (Witness) Fact 1 Arletta Shier witnessed the Fact 1 of John Adam Shier in 1936; John Adam Shier, his daughter, granddaughter and g-granddaughter. 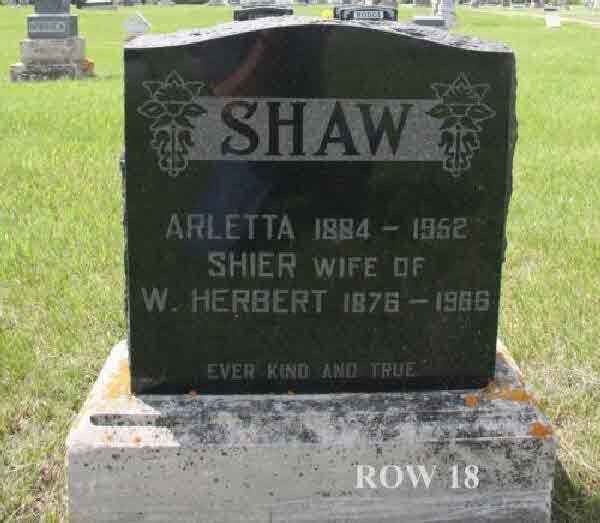 Death* Arletta Shier died on 7 February 1952 in Buried in Carnduff Cemetery, Saskatchewan, Canada, at age 67. 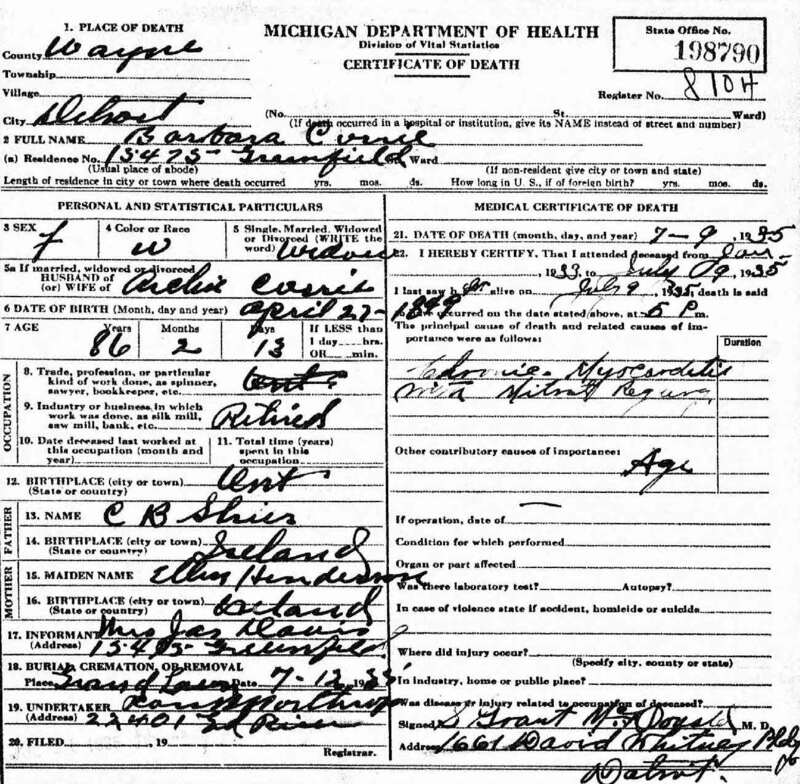 Marriage* Armenia Shier married Mary C. Dawson, daughter of James Dawson and Jane Vrooman, on 10 April 1883 in Brock Twp., Ontario County, Ontario, Canada. Death* He died on 8 July 1926 in Conc 7, Uxbridge Twp, Ontario County, Ontario, Canada, at age 68. 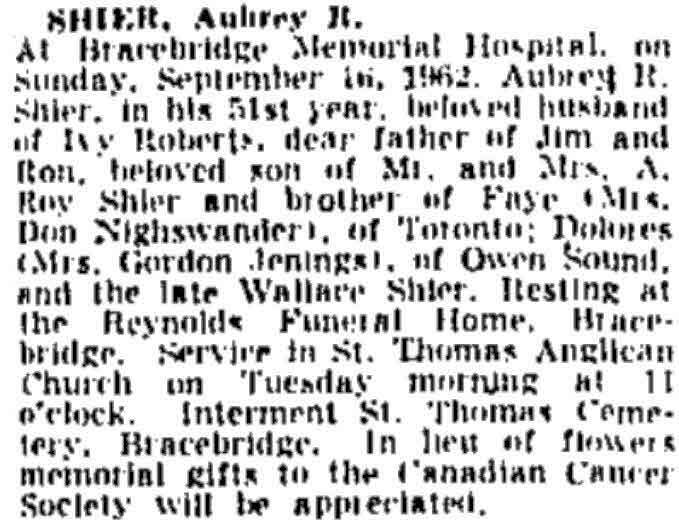 Birth* Arthur Shier was born on 14 September 1905 in Bracebridge, District of Muskoka, Ontario, Canada. Death* He died on 15 September 1905 in Bracebridge, District of Muskoka, Ontario, Canada; Died after 18 hours of life. 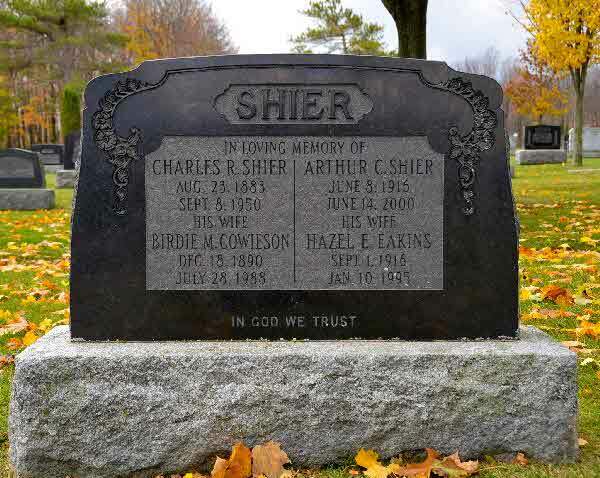 Birth* Arthur Edward Shier was born on 9 April 1871 in Courtmatrix, Rathkeale, County Limerick, Ireland. 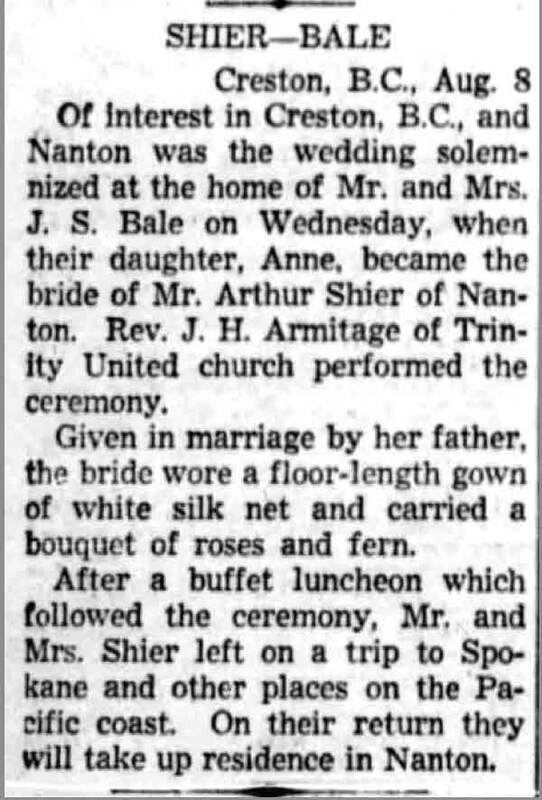 Marriage* Arthur HERBERT Shier married Anne Bale, daughter of John Seymour Bale and Alice Ethel Pogson, in 1939. 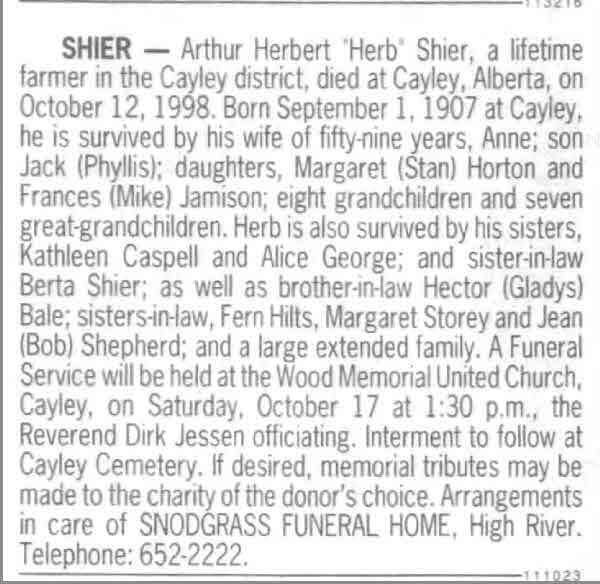 Death* Arthur HERBERT Shier died on 12 October 1998 in Cayley, Alberta, Canada, at age 91. 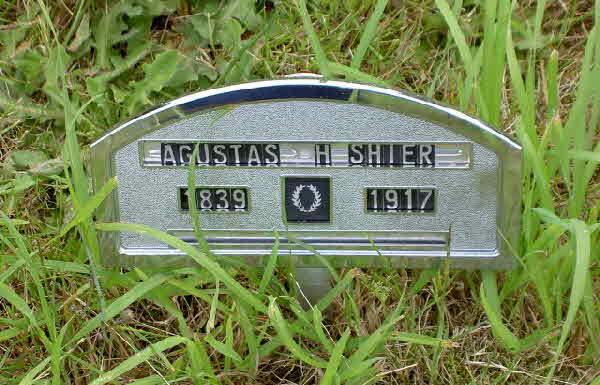 Birth* Arthur Robert Edward Shier was born on 24 May 1902 in Courtmatrix, Rathkeale, County Limerick, Munster, Ireland. Death* He died on 21 May 1943 in Dublin, Dublin County, Ireland, at age 40. 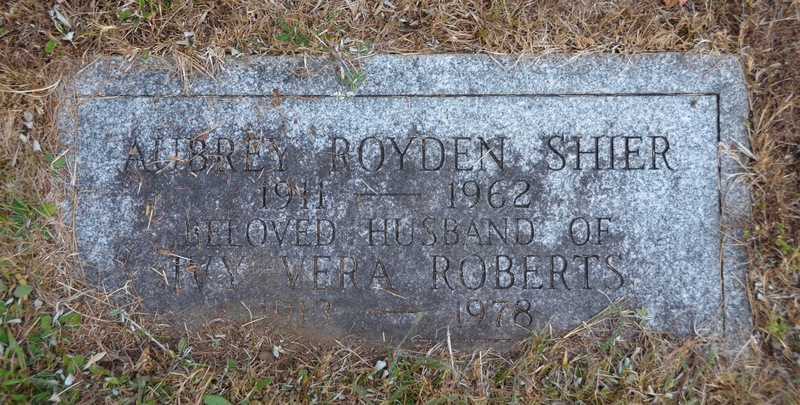 Death* Aubrey Royden Shier died on 16 September 1962 in Bracebridge Memorial Hospital, Bracebridge, District of Muskoka, Ontario, Canada, at age 50. 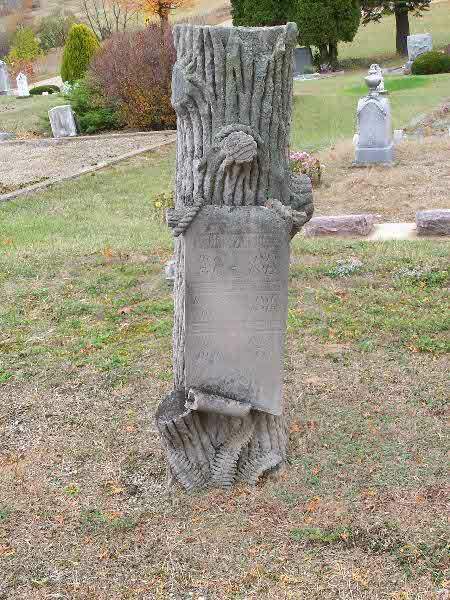 Burial* She was buried in St James Cemetery, West Brock, Brock Twp., Ontario County, Ontario, Canada. 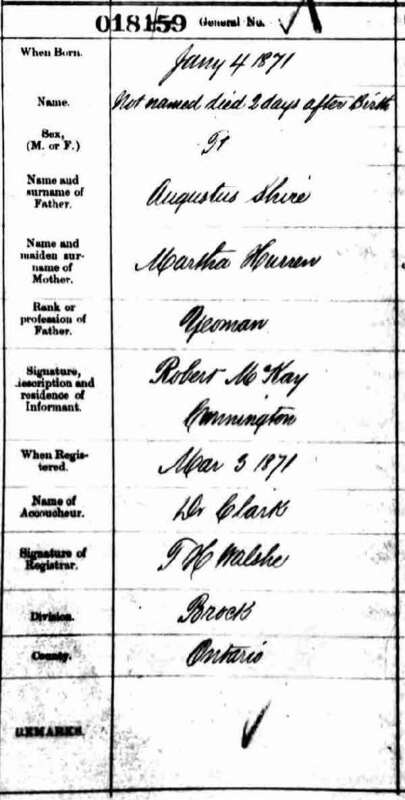 [S73] Ireland, Select Births and Baptisms, 1620 - 1911, online \, Baptism of Augustus Richard Shier. 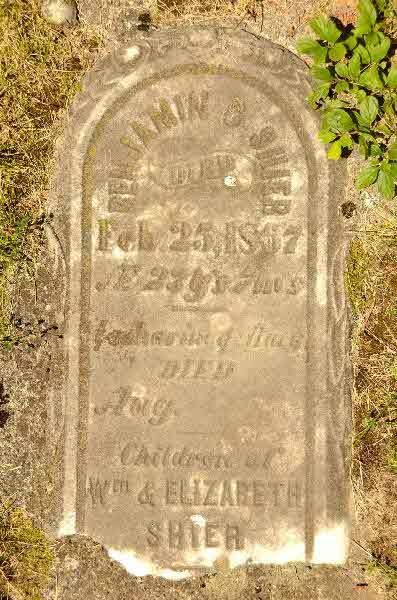 Death* Baby Shier died on 29 April 1926 in Bracebridge, District of Muskoka, Ontario, Canada. 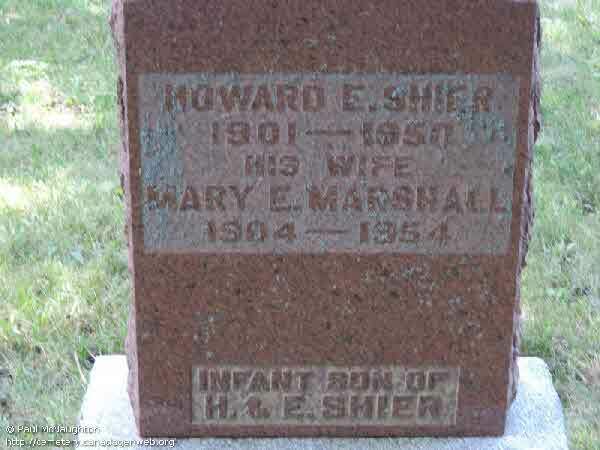 Burial* Baby Shier was buried on 13 November 1876 in Necropolis Cemetery, Toronto, York County, Ontario, Canada. 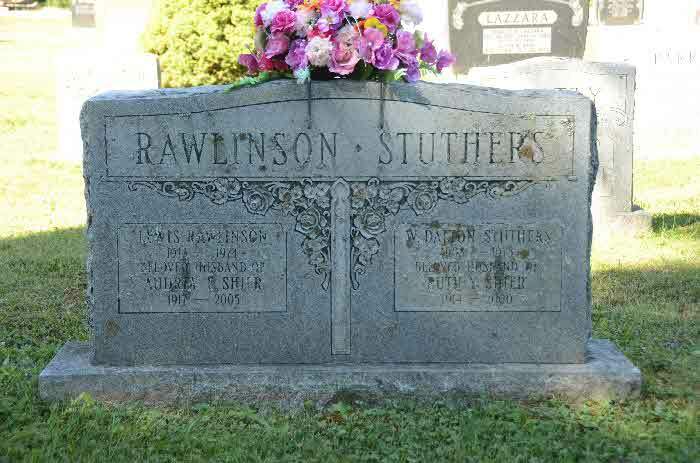 Burial* He was buried on 13 August 1930 in Fullerton Twp., Roy's Cemetery, Bruce County, Ontario, Canada. 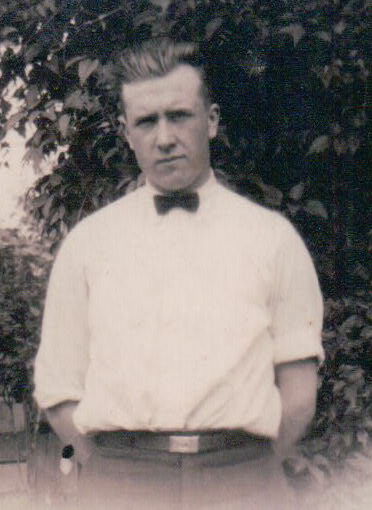 Birth* He was born on 17 June 1878 in Toronto, York County, Ontario, Canada. Burial* He was buried on 18 June 1878 in Necropolis Cemetery, Toronto, York County, Ontario, Canada. 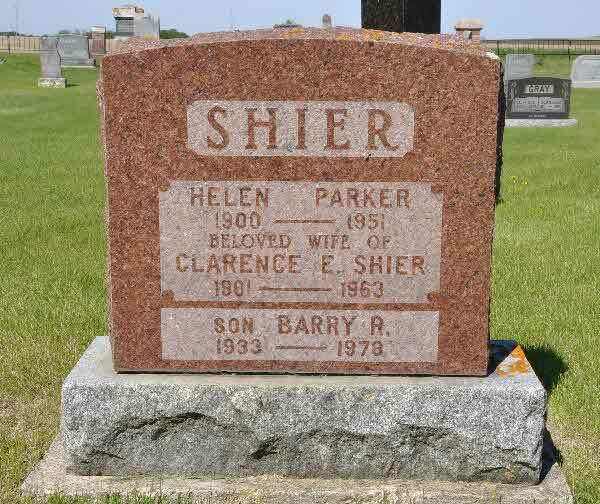 Burial* Baby Girl Shier was buried in Cedar Vale Cemetery, Cannington, Ontario County, Ontario, Canada. 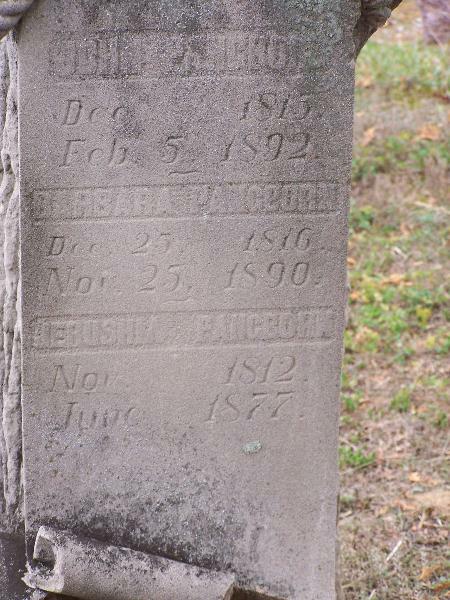 Death* Baby Girl Shier died on 4 January 1871 in Brock Twp., Ontario County, Ontario, Canada; The girl was not named. 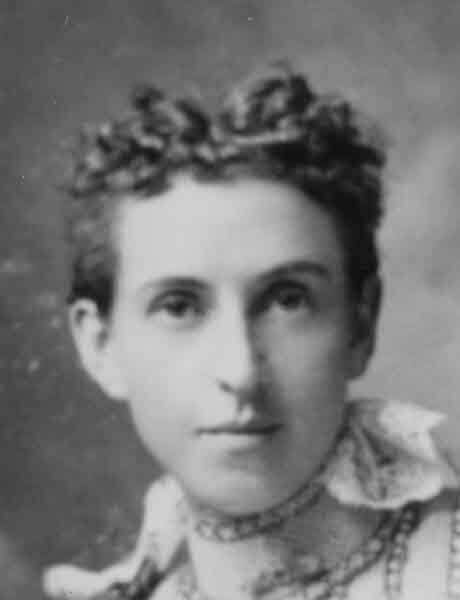 Marriage* Barbara Shier married Archie Currie on 24 November 1868 in Verona, Michigan, United States. 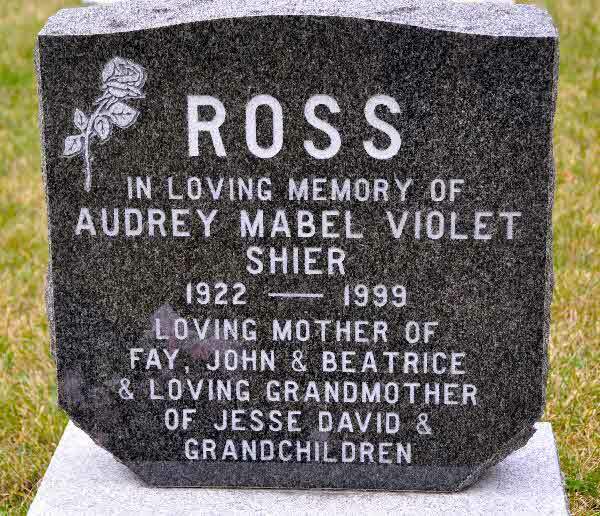 Death* She died on 9 July 1935 in Detroit, Wayne County, Michigan, United States, at age 86. 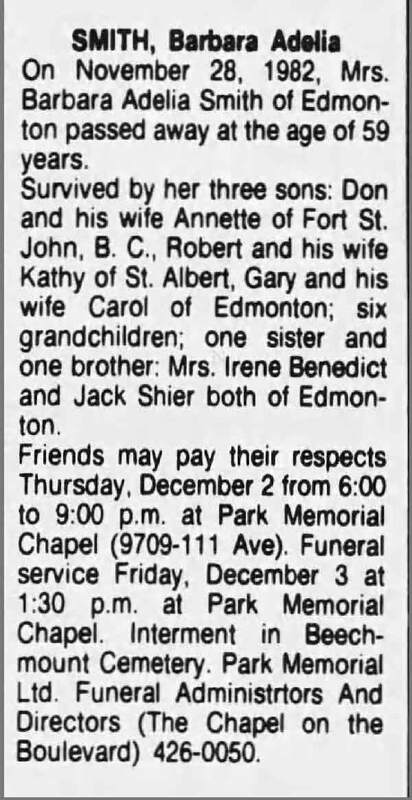 Death* Barbara Adelia Shier died on 28 November 1982 in Edmonton, Alberta, Canada, at age 59. 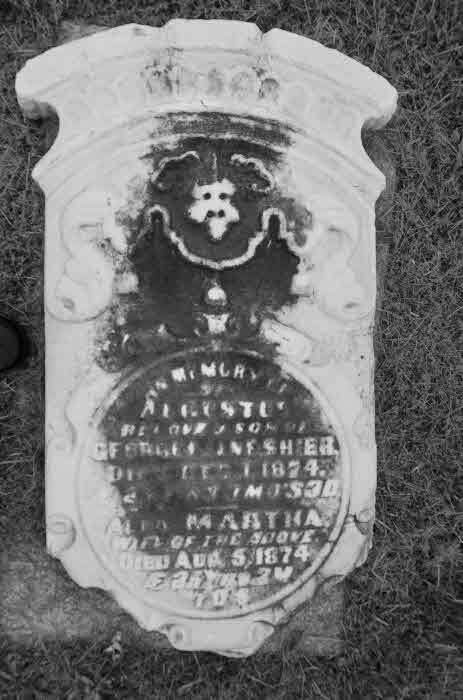 Burial* She was buried in Veronca Twp. Cemetery, Verona, Huron County, Michigan, United States. 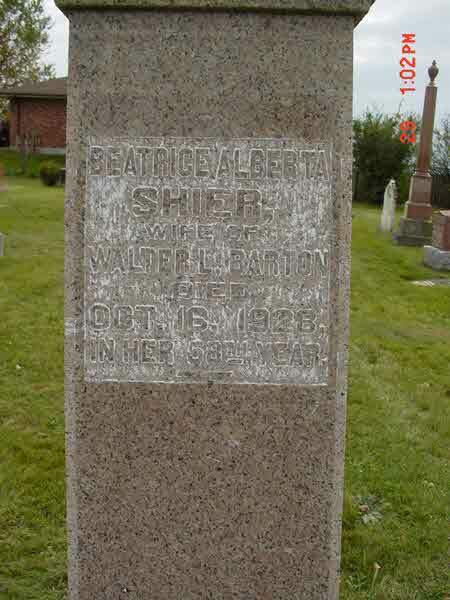 Marriage* Beatrice Alberta Shier married Walter Lawson Barton, son of Henry Barton and Annie Lawson, on 8 September 1897 in Scott Twp., Ontario County, Ontario, Canada. Burial* She was buried in St. Andrews Scotch Kirk Quaker Hill Cemetery, Uxbridge, Ontario County, Ontario, Canada. Marriage* Benjamin Shier married Lillie Jane Christian, daughter of John Christian and Jane Pollard, on 8 November 1881 in Eldon Twp., Woodville, Victoria County, Ontario, Canada.